Home » GIVE TO THE MAX DAY – You CRUSHED our goal! Wow! Your support helped us CRUSH our goal!! Thank you! Because of YOU, our residents will receive first rate veterinary care, fun enrichment, heated places to sleep, wholesome food and so much more! The drawing for “Caretaker for a Day” experience will take place next week and be announced here and on social media. We will also be contacting the winner directly by mail/email. Thanks again for being part of our extended rescue team and making Give to the Max Day the best ever. You won’t want to miss this behind-the-scenes look into our rescue work! GIVE TO THE MAX DAY is our biggest 24-hours of giving! On this big day, we want to give you a glimpse into what it takes to be part of our rescue team. From early morning food prep and medication rounds to overnight care. Tune in throughout the day to our live Facebook posts to get a behind-the-scenes look. Rescues don’t take holidays or nights off – and neither do we. 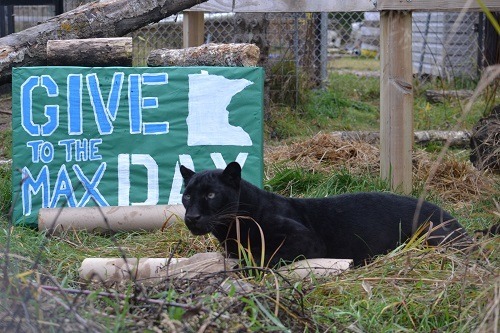 And by donating for GIVE TO THE MAX DAY, you’re already part of our extended rescue team, saving big cats. Beginning November 1-15th, you can start scheduling your donations HERE. WIN a CARETAKER FOR A DAY experience! And donations (up to $15,000) will be matched November 15 ONLY!! Our goal this year is to raise $200,000 for big cats in need! * All donors are entered into a drawing to WIN the experience of being a CARETAKER FOR A DAY. One entry per person. This experience is for two individuals, both must be 18 years or older. Winner will be announced on Facebook by November 19, 2018. This tour opportunity expires November 15, 2019. Must be scheduled with sanctuary at least 2 weeks in advance notice. One night hotel stay at Grand Casino Hinckley included. Winners are responsible for their own airfare/transportation to and from the Sanctuary. You and a guest will spend a day with one of TWS’ Caretakers. You’ll learn what it takes to care for over 100 wild cats. 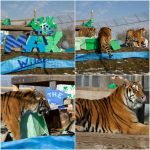 Your day experience will include hands-on activities such as preparing their meals, shadowing feeding, cleaning habitats, observing training and providing enrichment items to stimulate the cats, both mentally and physically. If you can’t attend, we’ll give you your own private tour via Facebook ‘live.’ We’ll answer your questions and show you the cats you want to see. Either way you win. If the winner cannot be reached by November 19th, a new name will be drawn. The Caretaker for a Day experience must take place before 11/15/2019 and date/time to be coordinated with the Sanctuary. 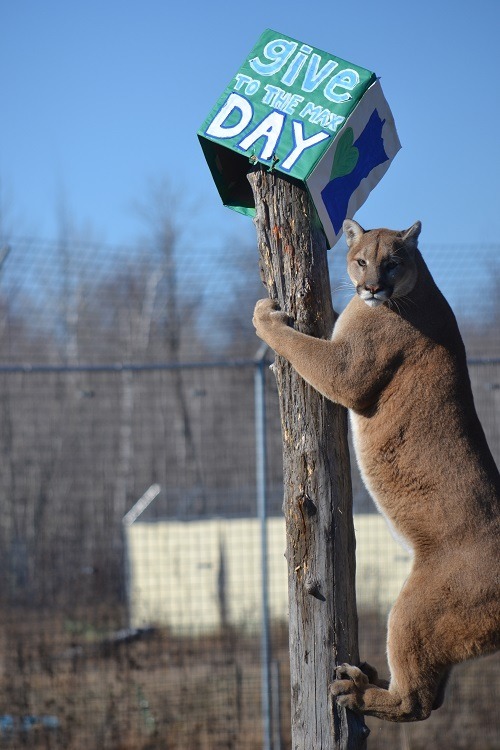 If you can’t donate at this time, but would still like to qualify for the drawing, please email your name, address, email, and phone to info@wildcatsanctuary.org with “Caretaker for a Day Drawing” in the subject line. PS This year, we’re making it easy! Since we’re asking you to give any way, any amount to make it count, all donations won’t be reflected on the GiveMN leaderboard. But check back on this page, and we’ll be sure to provide you our overall totals!